Q: Does practicing EC mean you can not use any diapers? Why not have a diaper on the baby just in case? A: Practicing EC does not mean that you will never use diapers. In most homes in industrialized society, parents will use diapers at least as "backup" for anywhere from a few weeks to many months. When first starting EC, you may find that your diaper use actually increases. At the beginning, parents often find it easier to practice EC if they know immediately when their child eliminates, so they usually prefer to use cloth diapers without covers or highly absorbent training pants. 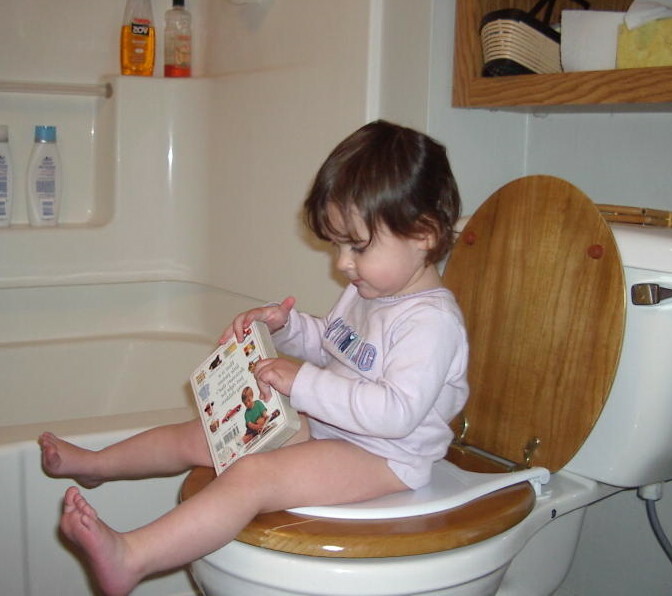 If a child eliminates in the diaper instead of in a potty or toilet, the parent will change the diaper immediately, thereby using more diapers than previously. Once a parent is more "in tune" with a child's elimination patterns, the diapers will stay dry for longer periods of time and diaper use will decrease. Some families choose to use disposable diapers exclusively and still have great success with EC. After parents have been having success for a while, they feel more confident switching to regular underpants or training pants that aren't designed to hold wetness. One advantage of practicing EC is not letting your child sit in his/her own waste for an extended period of time. Therefore, most parents who practice EC limit their diaper use to protecting their homes and other public spaces rather than using them for catching a baby's eliminations. While many families stop using diapers after several months and prefer to change wet underwear (should that occur) instead of diapers, other families diaper their children until they are "graduated." These families are also able to enjoy the benefits of EC.